Yep I delivered Montes New to Him Whites machine and also brought along my "Project Machine" I got this from a person that used the housing and mounted it to an external 9V power source. He then used the coil cable, less the coil and designed his own type of coil.....the coil cable wires were wrapped around a plastic tube......what he was testing for is beyond me. Anyhow, I acquired the machine in hopes of restoring it back to original condition. I had to order new 9v battery connectors for it and finally found a new battery door cover for it. 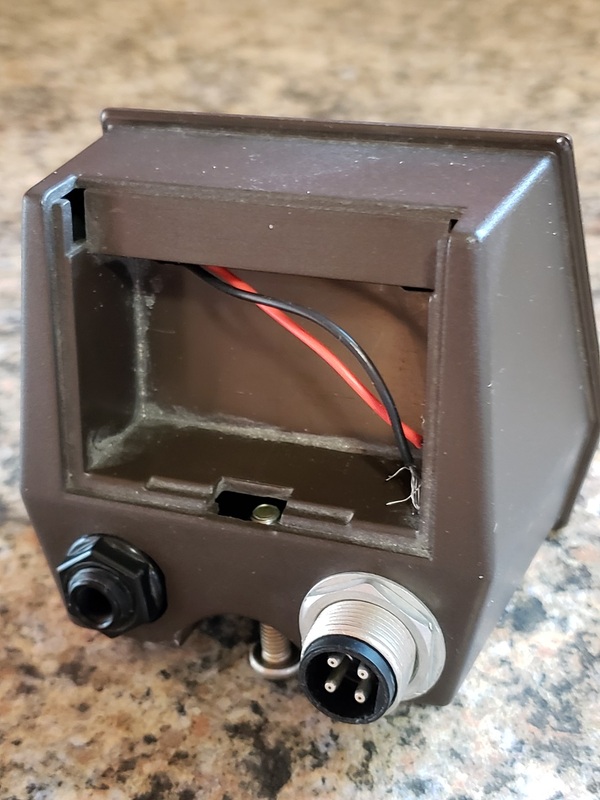 ( Thank you, Richard, at Backwoods Detectors) My goal at this point is to get the new connectors soldered on , put on battery door and get it functional again. The next step will be to attach a coil and Monte and I can put it thru some hoops to determine that everything functions as it should. 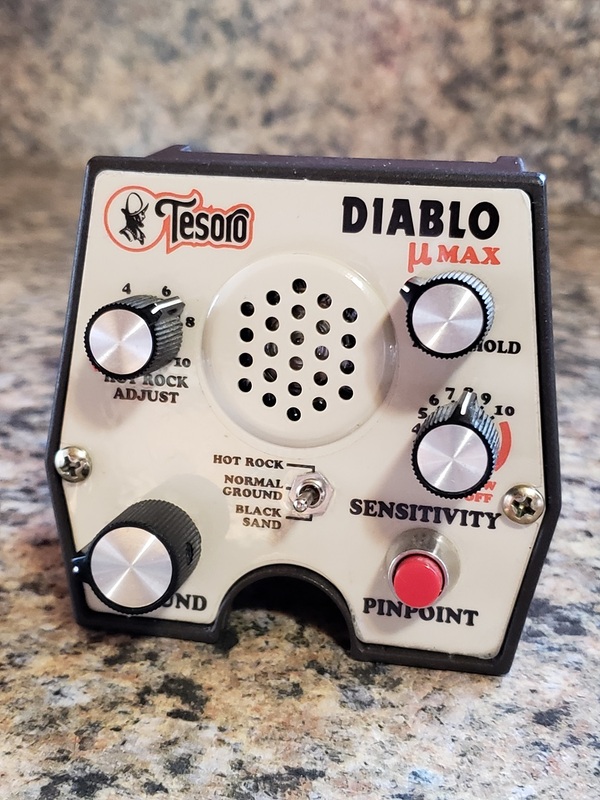 Is there anyone out there that would be willing to ship me there small 4 pin Tesoro coil. Upon shipping the coil back to you I will include some cash to cover your shipping cost. I want to be able to test it first before moving on making sure it works properly. Once I determine that it is in good working order I'll start looking for a rod System and coil.